This excellent initiative was started by Australian piano teacher and composer Elissa Milne and was taken up by the music publisher Hal Leonard Australia in 2013. The purpose was to promote and implement the concept of students learning a huge quantity of piano pieces in one year. The main purpose of this exercise was to encourage students to learn, experience and perform far more pieces than our exam-focussed culture tends to allow, and equip students with improved sight-reading skills, encourage independent learning, and enhance their musicianship and music appreciation by exploring a wider variety of repertoire. By broadening the student’s experience of piano music, hopefully they will feel inspired to continue to play the piano for the rest of their lives regardless of what grade exam they achieve before they stop taking lessons. The exercise reminds me of something I did when I was studying the piano as a teenager and preparing for my Grade 8 exam. My then teacher felt that I needed to spend as much time as possible at the piano, regardless of what I was playing (i.e. not necessarily practising my Grade 8 pieces and technical work). To achieve this, I took a Saturday job as pianist for a local ballet school where I was required to play waltzes, polonaises and mazurkas for a group of pink-tutu-clad little girls and a teacher who was straight of out ‘Fame!’. 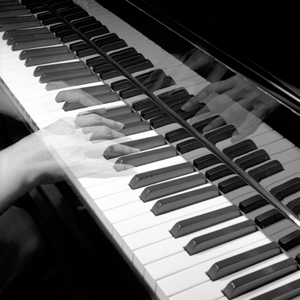 My sight-reading skills, which had always been pretty good, were much improved by the exposure to new repertoire and I became adept at learning music quickly, skills which I have retained, despite a long absence from the piano in my 20s and 30s. Another similar initiative is the Go-Play Project, in which US pianist and teacher Catherine Shefski set herself the task of learning (or relearning) a piece of piano music each week over the course of a year (she recorded the pieces and uploaded them to SoundCloud). Like many piano teachers, Catherine felt she was not spending enough time at the piano for herself amidst all the teaching and admin that goes with running a piano teaching studio. I followed Cathy’s project with interest and discovered some new repertoire myself through her initiative, including a Rachmaninoff Etude-Tableau which I included in my LTCL programme (G minor, Op 33). Cathy has extended the project beyond the sphere of music, applying the concept to other areas of creativity. I think the ’40-Piece Challenge’, ‘Go-Play Project’ and similar initiatives are wonderful for piano students and pianists of all ages and abilities. As pianists we are spoilt for choice: the piano has a huge and varied repertoire, but sometimes this embarrassment of musical riches can be daunting. Where to start? What to play? By setting reasonable parameters, the project is both possible and enjoyable. (For example, one is under no obligation to play “difficult” music, and much pleasure and satisfaction can be gained from learning relatively simple pieces and playing them really well). The object of the exercise is to experience many musical idioms and forms, from Baroque to contemporary classical, jazz, world and even duets or two-piano works. Mix the difficulty and genre of the pieces you attempt: by keeping the repertoire varied, you will find the exercise enjoyable and challenging. Record yourself and use the recordings for self-evaluation and critiquing of your playing. Even if you are working on larger-scale works or studying for an exam or Diploma, there is no reason why you shouldn’t engage in this exercise as a supplement to your main learning and as a way of ensuring you retain your interest and excitement in the piano. I think this is an excellent idea! It will especially help with keeping things fresh so my students don’t get too burnt out on two or three pieces. Do the 40 pieces have to be outside of the method books for the beginner students, or do those count as well?